Before these summery days get entirely away from us, I wanted to share with you my newest little visitor. 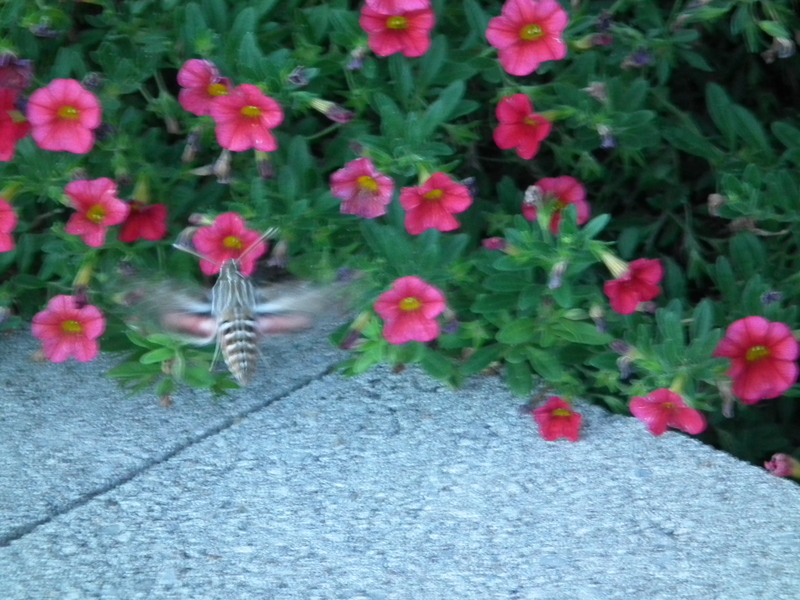 In all of my years of gardening, I have never seen one of these critters before – a White Lined Sphinx Humming Bird Moth. 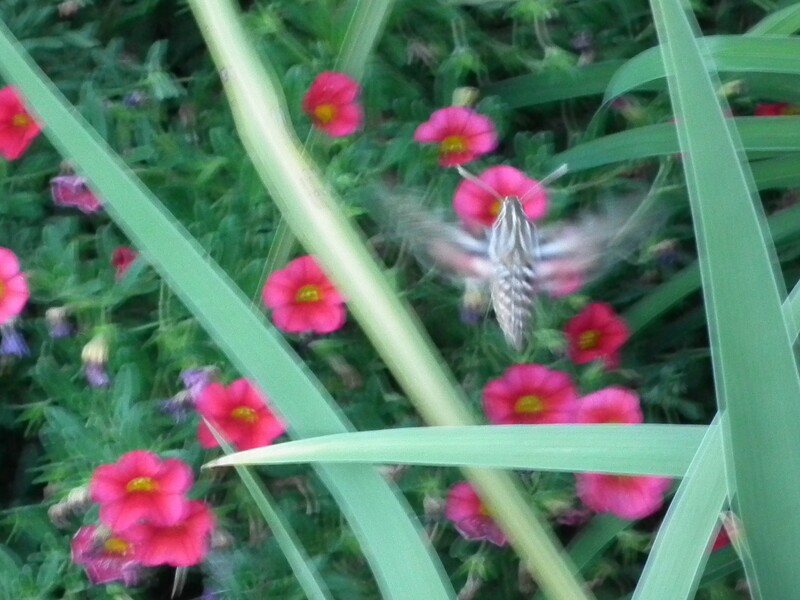 When I first saw it I thought it was a baby humming bird and , of course, ran for my camera. But the closer I got a better look at it, I could tell I would have to do some Googling to find out what it was. He’s a fast little critter , meticulously checking out each flower for any source of nourishment. Every time I see him, he is visiting this one plant only and will stay up to 20 minutes. I found this to be an interesting article about humming bird moths if you’d like to know more and thanks for reading!